The NXT TakeOver: Phoenix theme is “X” by Poppy and in the song she says “get me bloody” … so we brought her into Wrestling Sheet Headquarters and kinda-sorta tried to fulfill her request! 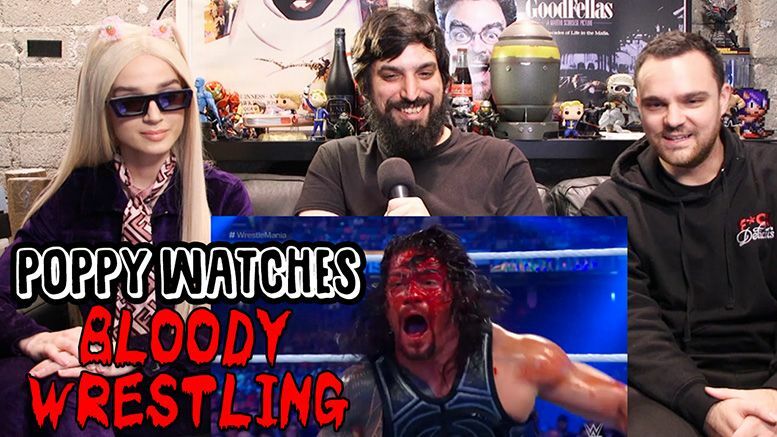 Editor-in-Chief Ryan Satin and Wrestling Sheet Radio co-host Jamie Iovine sat down with the internet sensation to show her some of their favorite bloody moments in wrestling. Clips include Eddie Guerrero and John Cena being busted open in matches against JBL, Nick Gage vs. David Arquette, Stone Cold’s iconic WrestleMania moment and more.